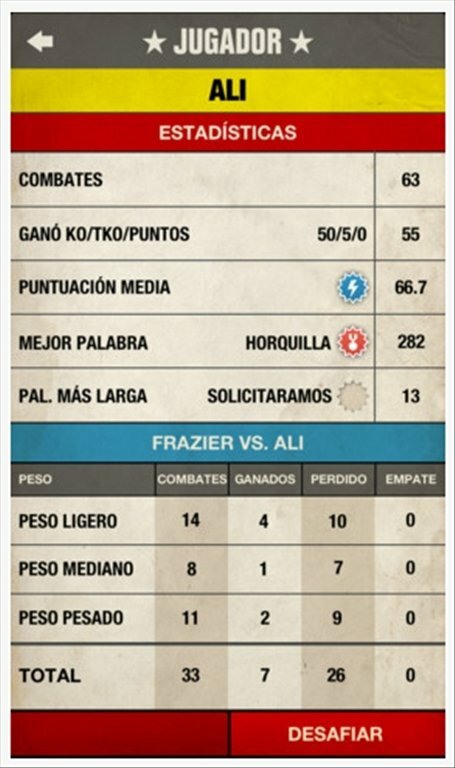 In a boxing ring, the differences between contenders are settled with punches, although words can be even more harmful. 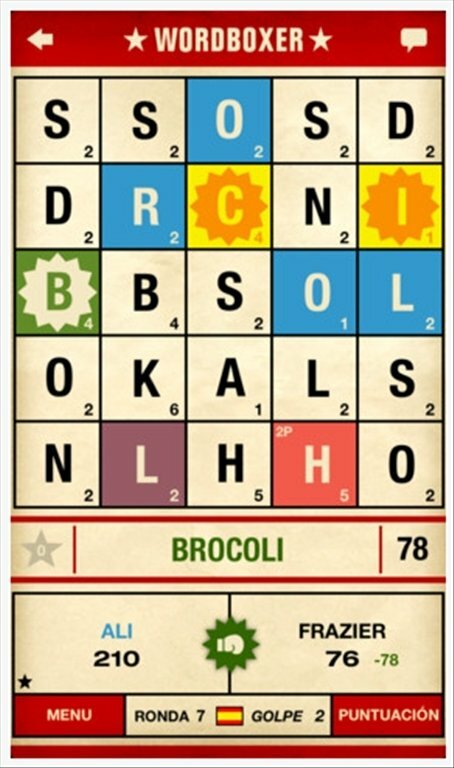 WordBoxer is a game for iPhone about making words, with an innovating aspect. Become a boxer and challenge your rivals: the first one to kiss the canvas loses! You aim is to make words on a board and knock out your opponent with the score obtained. You have to reduce his/her score box to 0 or complete the 12 rounds with a higher score than him/her. The more points you obtain, the more powerful your hook to the chin of your enemy will be. Challenge your friends, random opponents or the computer. 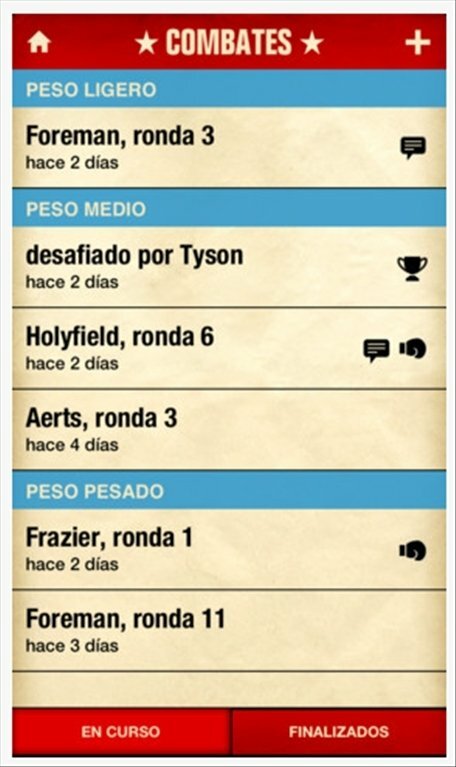 Make achievements and enter the ranking of players, the "Boxing Club". 3 levels of difficulty: lightweight, middleweight and heavyweight. WordBoxer is a rather odd word game but that is really appealing. 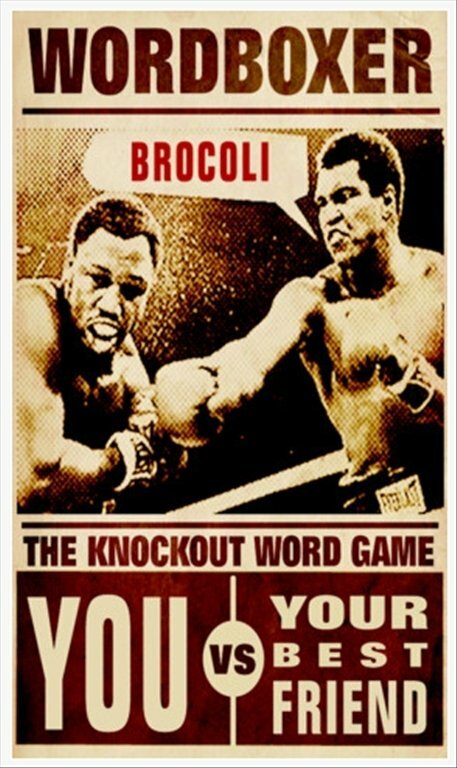 Start training your footwork (and brainwork) if you want to be the king of the board in WordBoxer for iOS.